I've lost count how many bottles I've been through of this, but I absolutely adore it! 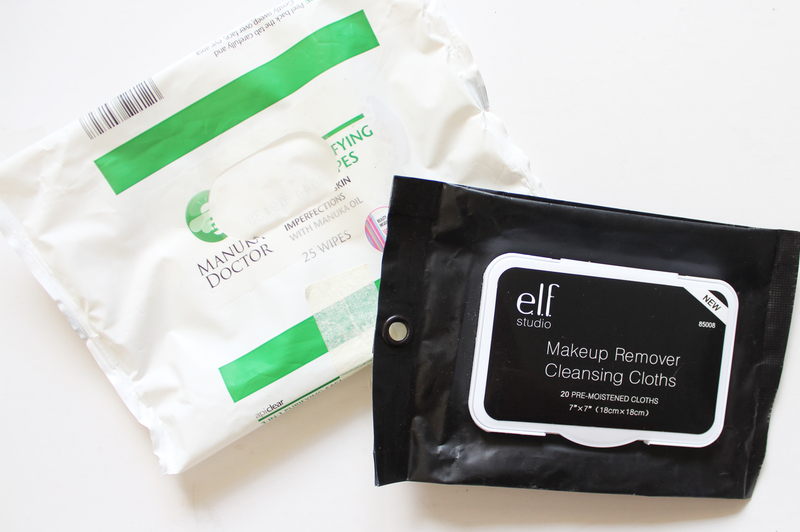 I use it every night without fail to remove my makeup before cleansing after. I love how this feels on the skin and it breaks up makeup as soon as you start to work it into the skin. I also like it because it doesn't leave an oily residue after you wash it away. It's super gentle but works like a dream, and I could not recommend it enough. This is another Body Shop product I've been through many bottles of. 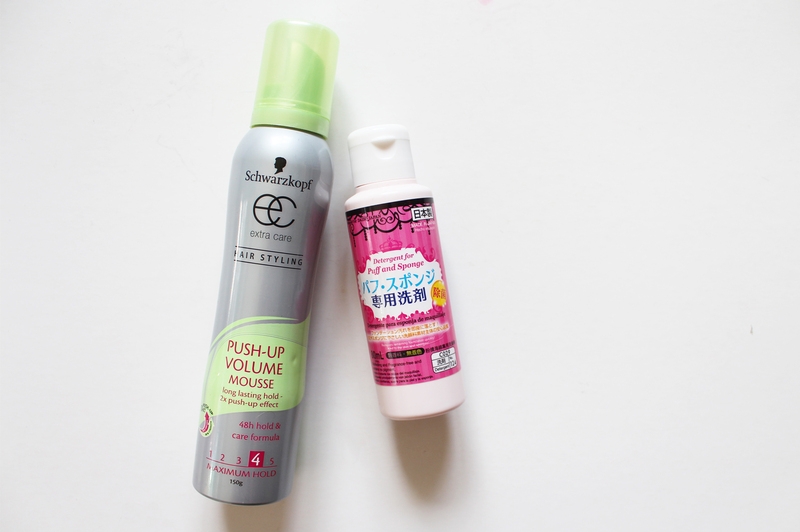 I always go back to this toner because I know it works for me at the moment, plus it's not too pricey. The Seaweed range is aimed at oily/combination skin, so I fit into the category perfectly - this toner isn't stripping or drying, but it removes any excess dirt or makeup build up that I might have missed cleansing and provides a crucial step in my routine. 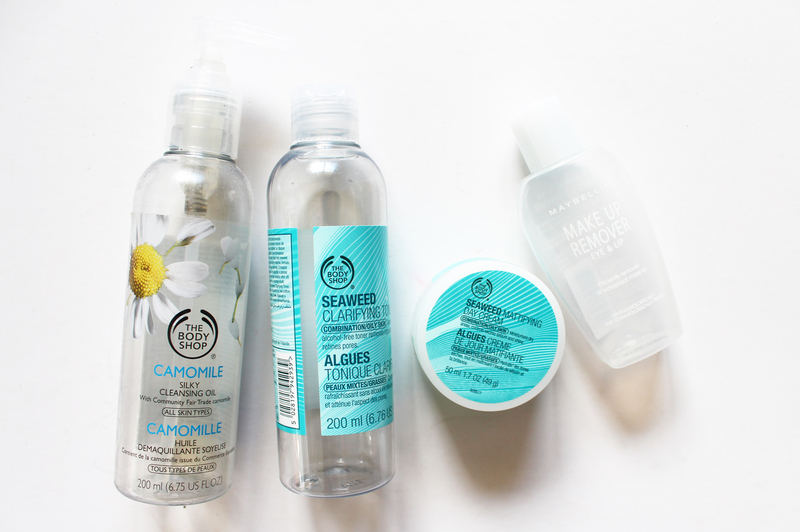 Yep, more products from The Body Shop (I just love their skincare!) I used this up really early on in the month, but it had been basically empty for a couple of months, and only had a few uses yet (I don't know why I always tend to do that with some products!) As day creams go I did like this, but I probably wouldn't go back to it, because I have found my skin quite likes something a little more nourishing. This is great if you are super oily and provides a good amount of hydration while also mattifying, however it can be a touch drying I've found on certain areas of my skin. Wouldn't be an Empties without this popping up right? It's the best eye makeup remover I've found, it's super cheap, easily found at the supermarket and doesn't sting or irritate my eyes. I've had these sitting in my cupboard for yonks now, as I don't really use wipes much at all for makeup remover, I only use them when I'm wiping swatches off my arms after taking photos (#bloglife). 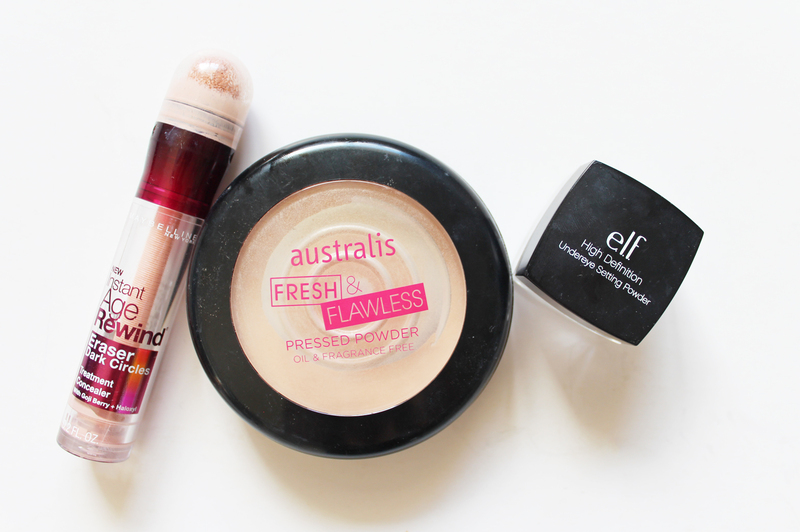 I did give these a whirl a couple of times on my face though and I didn't really like them as much as I had hoped. I found they were quite dry and didn't do much to really wipe the makeup off my face, which is the whole point of them! As a complete opposite to the Manuka Doctor wipes, these are super moist and did a great job at removing makeup. I've been through a couple of packs of these in the past as they are super cheap from iHerb (about NZD $4.50) and they work great too. As I said before I don't use them very often to remove makeup, but for getting stubborn lip products off, or getting swatches off my arms they work really. What a sad day it was when I did the last twist of this! I absolutely LOVE this concealer for under my eyes; it works amazingly well and the light pale pink colour means that it cancels out any darkness and automatically brightens the whole area. I had hit pan on this a while back now and have been scrapping by, but I went out a bought another as it makes it much easier to pick up the powder when it's in a big pan. I am a big fan of this, it sets makeup down well and provides a good amount of extra coverage on the skin too. I often like this for quick or lazy makeup days and I conceal under the eyes and any spots then put this all over my skin. It can look a little cakey if you build it up to much, but a light dusting works a treat, and it's great for touch ups on the go. Another of my favourite products finished this month, but luckily enough I was able to grab another at Kmart (usually they are all sold out!) I love this little powder for setting my under eyes as it brightens slightly and doesn't make the concealer crease either. I'm always after a bit more volume when it comes to my hair; most of the time it dries quite straight and also looks a little limp if I don't put something like a mousse in it before blow drying. I did like this but I didn't find it gave a heck load of volume, but it definitely adds texture and hold to the hair. I'm not sure whether I would buy this again, instead I'd like to try something similar from another brand. I've raved about this countless times before, and I'll keep doing so because this stuff rocks! It cleans away foundation from my makeup sponge like nothing else and it returns them to their former glory in seconds. If you can get a hold of this I would grab as many bottles as you can, it also works well on makeup brushes too! 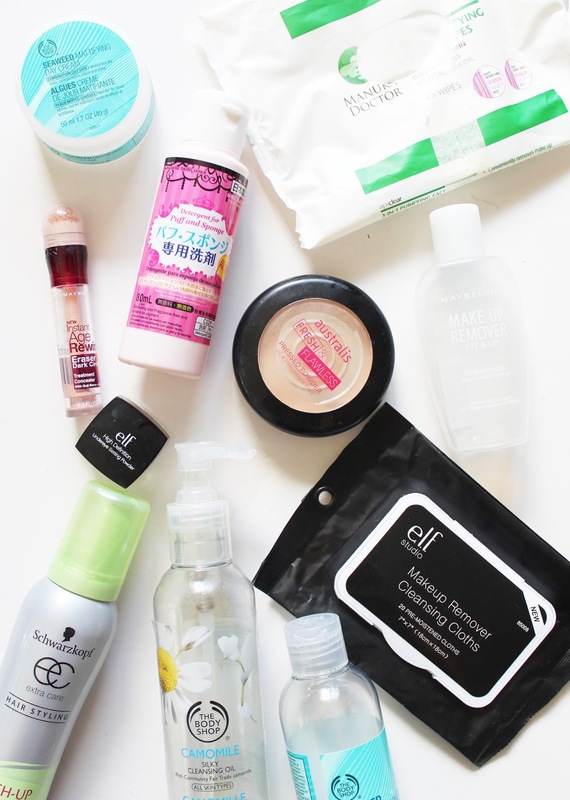 What products did you get through this month? Have you used any of the ones I did?